YOU GUYS! How incredible is this braid? 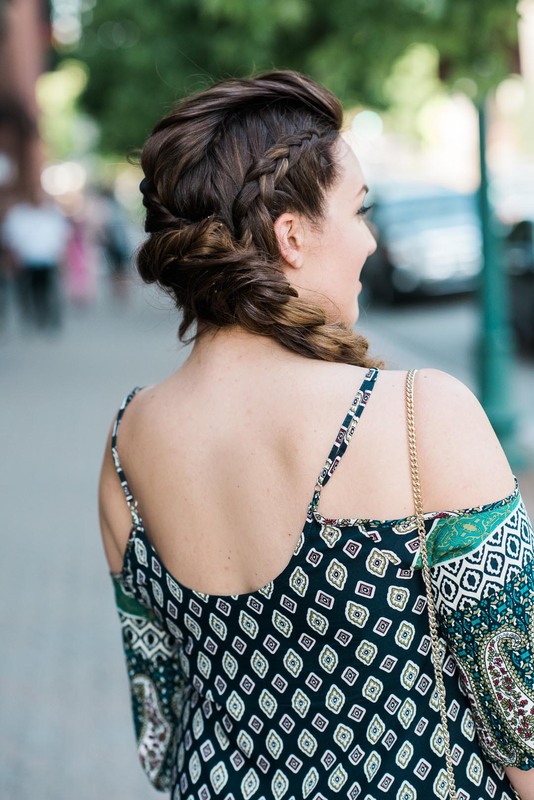 I’ve been loving my hair ever since I chopped it off with Michael from Sassoon Salon but I’ve been having some major braid envy with all of the gorgeous messy braids we are seeing this summer. On my most recent trip into the salon to get a touch up with my dream team (Nathan and Michael!) I decided to do something a bit different than usual and build a creative braid. Nathan, my colorist, added some extra warmth and blond pieces to my hair for the summer and I’m even considering adding more! Even though I cut my hair shorter, it’s still very thick so having lighter pieces through the ends helps make it feel lighter and gives the illusion of movement. 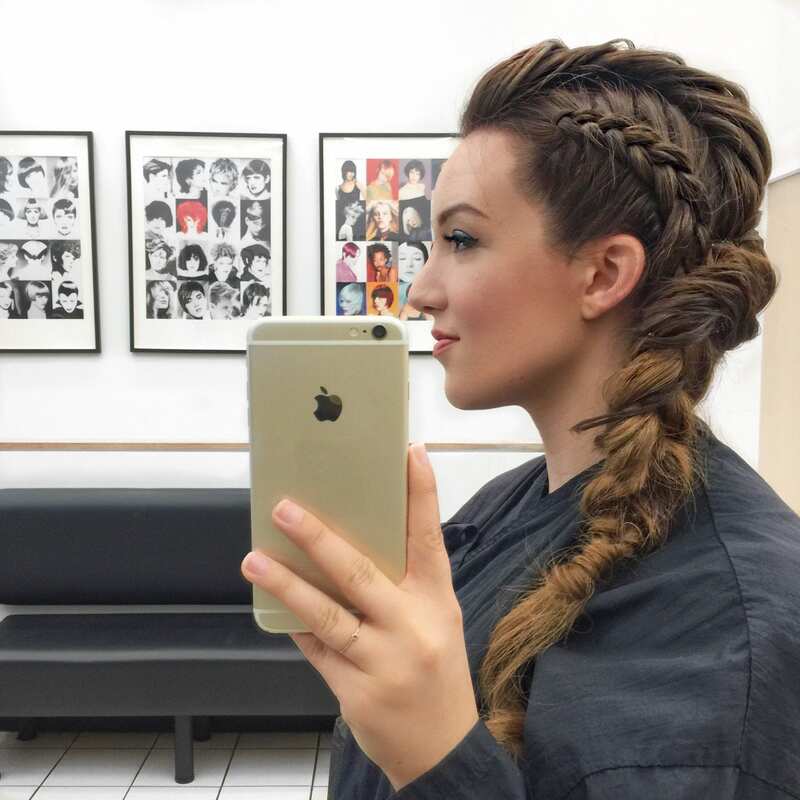 For the braid, I met with stylist Crissy and we brainstormed a few ideas that would look great. I brought along some extentions to add length and we clipped them in and blended with my own hair. She ended up doing a mohawk-fishtail braid down the center of my head and two dutch braids along the sides, and it all came together into a side swept braid. It was so much fun to build this with her and try different ideas (and be her official bobby-pin hander!). To celebrate great hair, Sassoon Salon and I are hosting a giveaway for one lucky winner! I’ll be giving away an amazing Sassoon product package via my instagram post linked in the Rafflecopter widget below. The haircare package will include some luxurious favorites from Kerastase, Davines, and Sebastian products (top salon quality stuff for your gorgeous hair goals!). Giveaway will end by July 18th at 11:59pm PST. Good luck! That is such a nice outfit and I love your hair braid. Thanks for the great giveaway. My hair is too short to do this now, but I love the look. When my hair gets longer I will have to try this out. What a gorgeous look! I absolutely love those chunky heels. The braid’s a nice touch. Lovely. You make it look so easy! It’s my ballet background that has me doing hair tight and down. Add a wig for theatre and you have my hair skills! 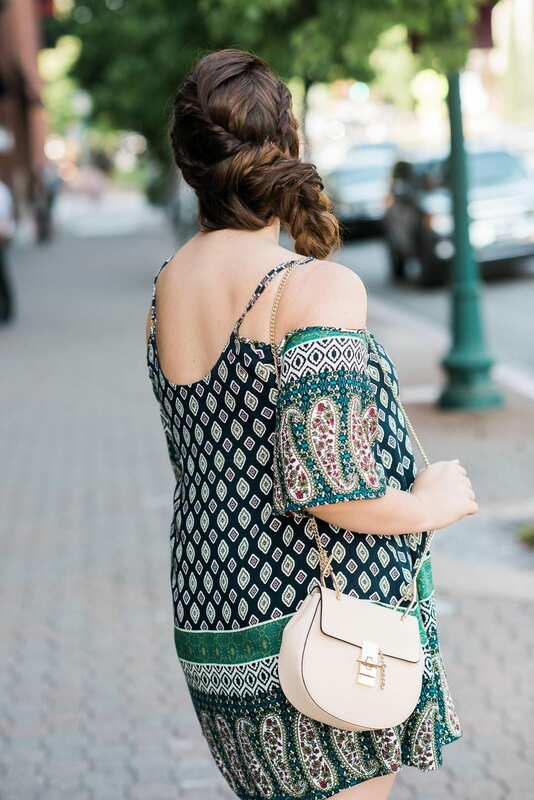 Love that braid! Braids are my go-to when I don’t have time to straighten my hair. The braid looks beautiful! I love the overall look! Very pretty! I must admit I am not super good at any braiding, but this looks like a beautiful braided look. It’s funny how braids can be so beautiful, even when “messy”. This is a pretty look on you! 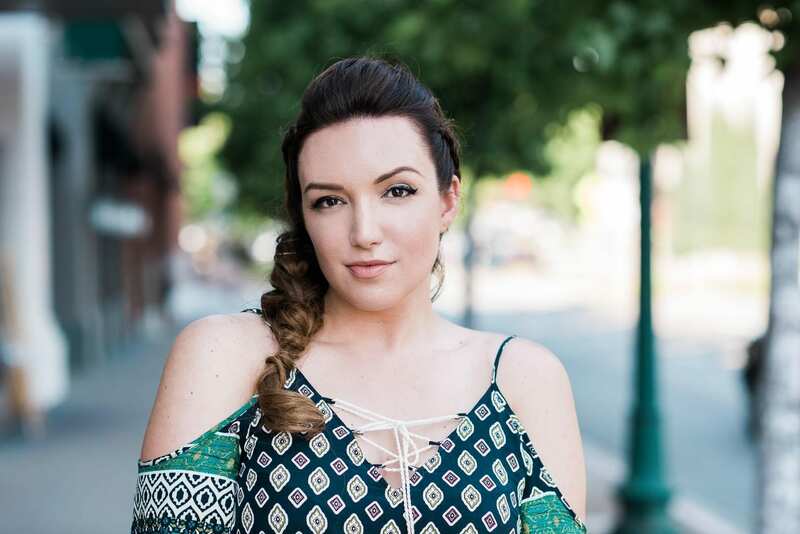 I am all about low maintenance hairstyles, especially in the summer, and my hair is almost long enough to pull a look like this off again. Love the color of your polish too! Wow, I love that style! Your stylist did a really good job. Your outfit is awesome too. What a great way to keep your hair together without having to give it so much attention! So gorgeous! I have such a hard time making any braid look decent on myself, but I am going to try this one! 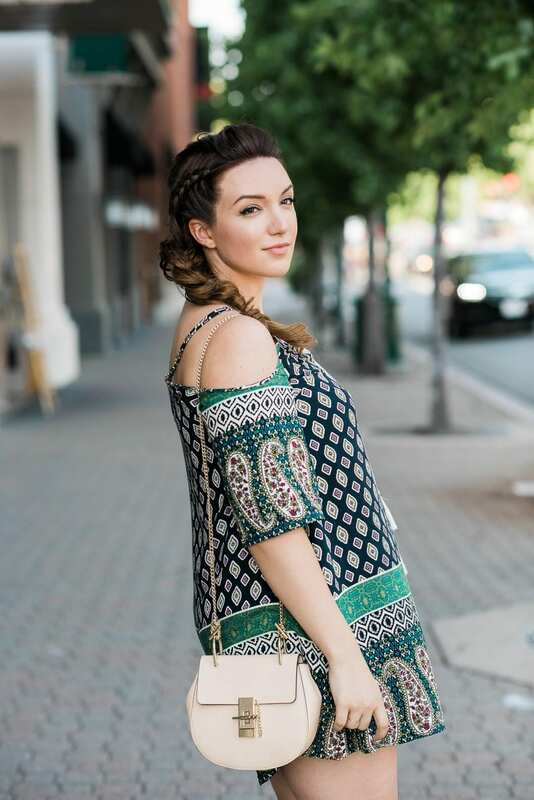 I am loving a side braid which I can make look semi-decent so this would be perfect! I am loving that outfit, but that hair. I am all over those messy braids look and this one takes the cake. It is very Vikings looking and I love it. 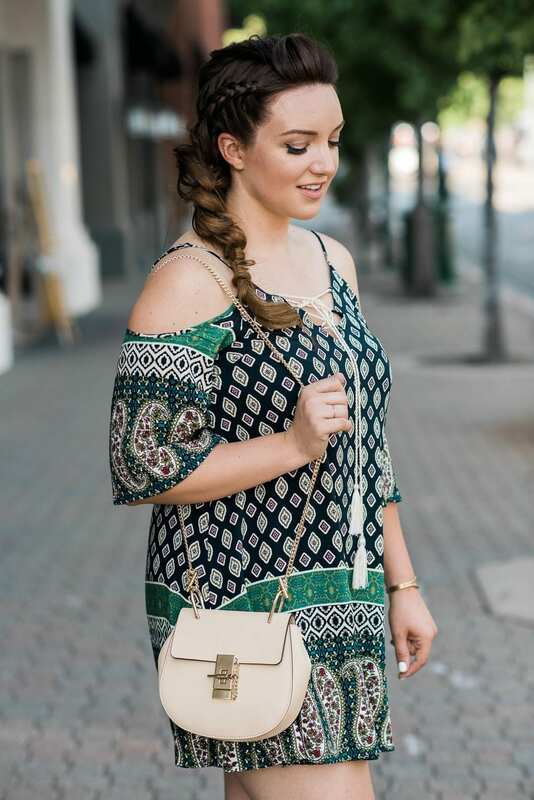 Pretty braid… and super cute outfit! Braids are so in these days, aren’t they? After all, it’s the perfect way to keep the hair out while you’re busy doing some activities under the sun. I love how they styled your hair here! It’s really gorgeous! Makes me wish I hadn’t cut my hair short! This braid is so gorgeous! I need to try something like this at home with my hair. It’s about the same length (maybe not as much thickness!). Love the hair! So fun to try new looks and you really pulled that one off, and the outfit really makes it all come together too. So beautiful.I know my teen daughter would love to learn how to recreate this style. I am all about your braid and the color green suits you so well! I love this pretty dress and your hair is gorgeous! Wow! You look stunning. I have yet to master the normal braid but this looks phenomenal. 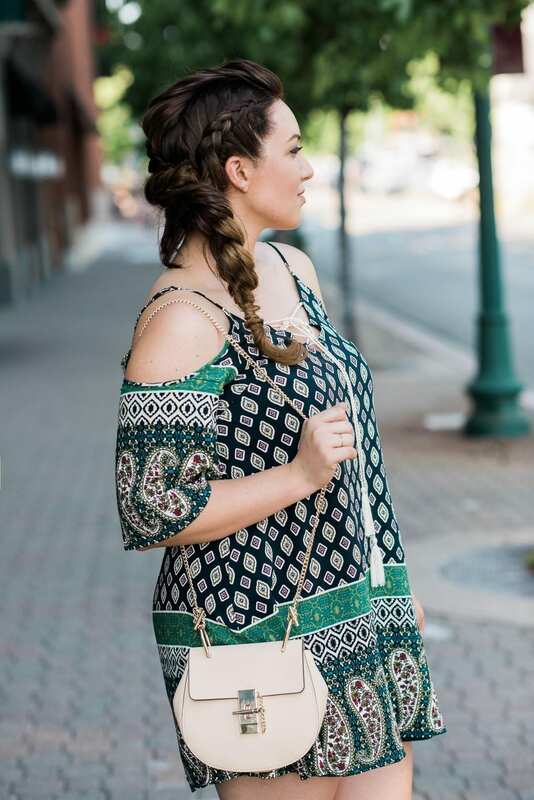 Your hair looks amazing and I LOVE the bag!